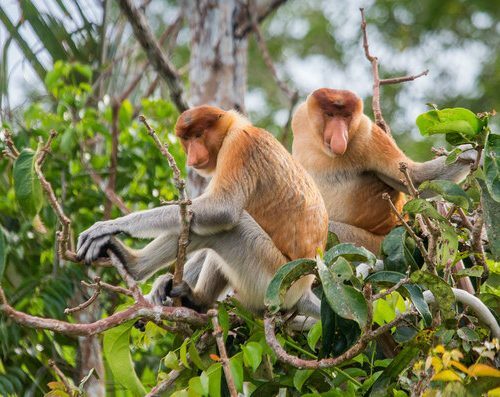 A family holiday in Borneo can create lifelong memories. 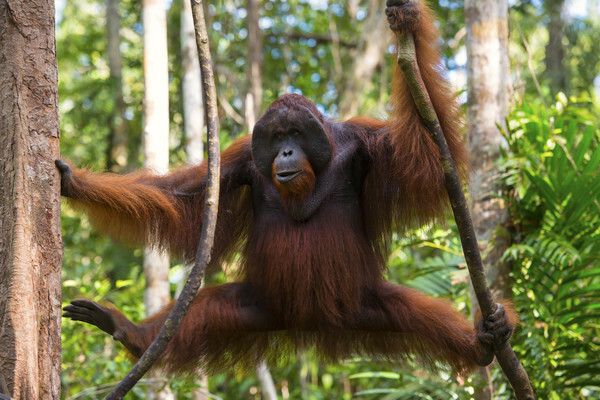 With jungles, rainforests, unusual animals, and a rich cultural tradition of distinctive garb, energetic dance, and chilling legends, Borneo offers an adventure for families of all ages. This twelve-day trip takes in a bit of traditional culture in a way that’s fun for all and then focuses on wildlife viewing. We’ve tried to minimize domestic travel but where it can’t be avoided, there’s variety in the schedule and interesting views out the window. 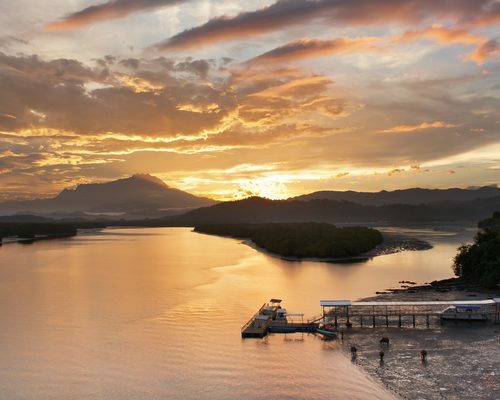 Look for turtles laying eggs on Selingan Island, watch young orangutans play in the nursery at Sepilok Orang Utan Rehabilitation Centre, and visit two of Borneo’s rainforests. 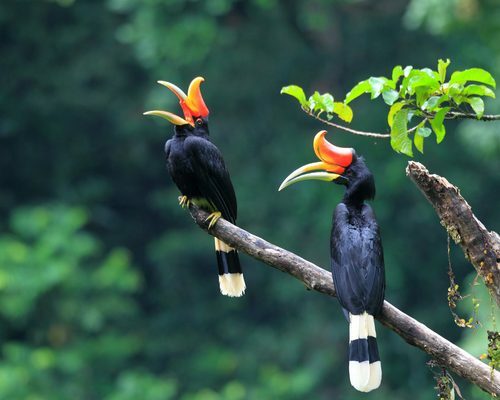 A trip down the Kinabatangan River is an opportunity to see monkeys, crocodiles, flying lemurs, colorful birds, pygmy elephants, orangutans, and more. 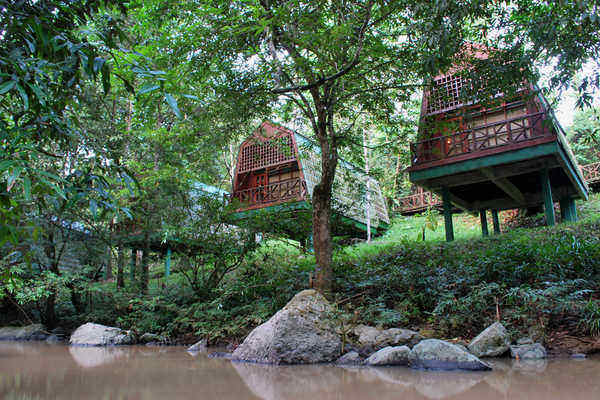 At Tabin Wildlife Reserve, everyone can clomp through the mud in Wellies (no need to bring your own, they’ll loan you a pair), shower under a waterfall, marvel at stick insects and other unique critters, and experience an open-air safari drive. 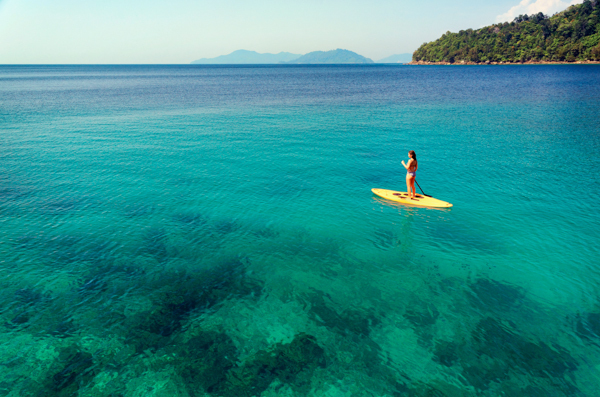 On Gaya Island, you’ll have time to get a taste of Borneo’s underwater life. Snorkel or dive in the South China Sea to see a variety of marine life. Please remember this is a sample itinerary to inspire you and we are happy to modify it to suit your plans and preferences. We can add or remove days, look at different places to stay, and include other options. 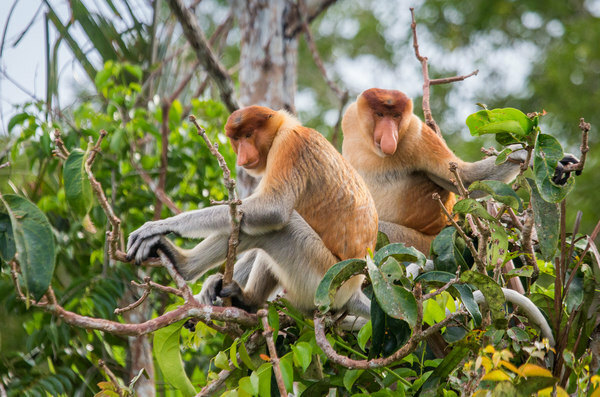 If you’d like to learn more about a family holiday in Borneo, give us a call at UK 020 7112 0019 or email borneo@fleewinter.com to start planning your holiday. Welcome to Borneo! You’ll arrive at Kota Kinabalu International Airport this afternoon or evening. 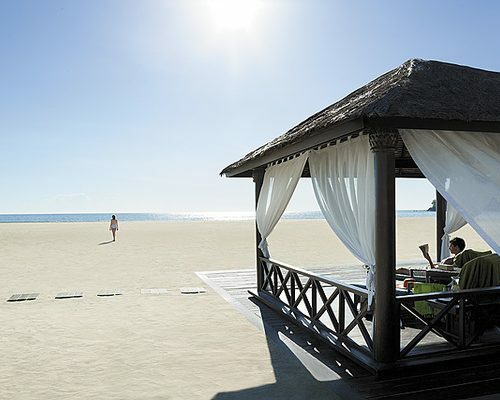 Your driver will meet you and transport you to your comfortable seaside accommodation. Relax and settle in. This morning your guide will collect you for a trip to Mari Mari Cultural Village. 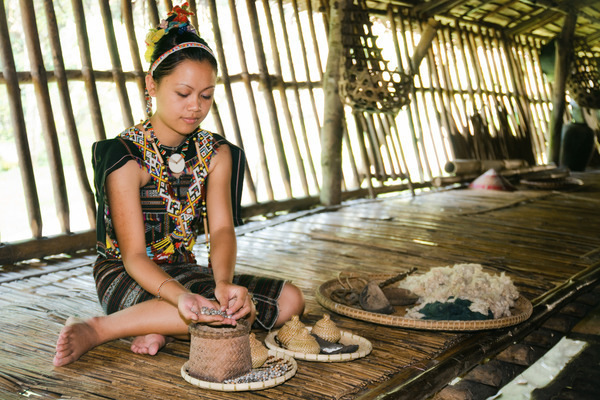 Here you’ll learn about five of Borneo’s native tribes with chances to taste local treats, join a dance, and see the different styles of longhouse people have lived in. After lunch you’ll get a tour of Kota Kinabalu with stops at the City Mosque, a Buddhist temple, the Sabah Museum, and more. Your resort is a family favorite with its own nature reserve, a kids’ activity centre, an area much-loved by the older kids crowd, multiple swimming pools, horse stables, and a long stretch of beach. We’ve planned nothing for you today so you have a day to take it easy. This morning you’ll fly to Sandakan and transfer by boat to Selingan Island. 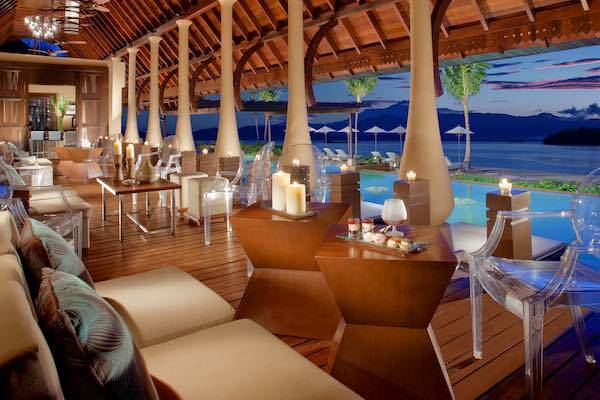 You’ll have the afternoon to snorkel and relax. After dinner, rangers will look out for the evening’s highlights. 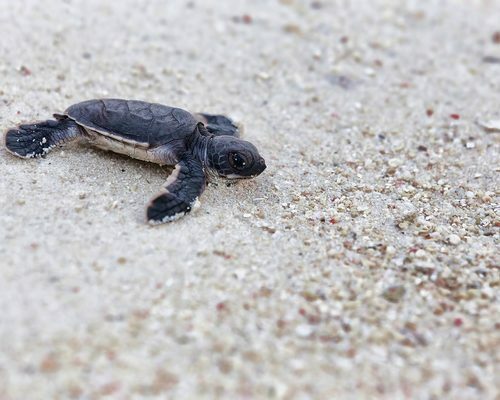 Perhaps a turtle will come ashore to lay eggs or it will be time to release young turtles into the sea. 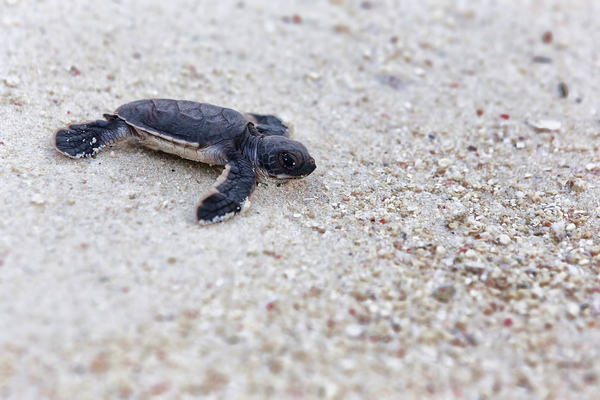 Watching baby turtles take their first swim is a memorable experience for all ages. 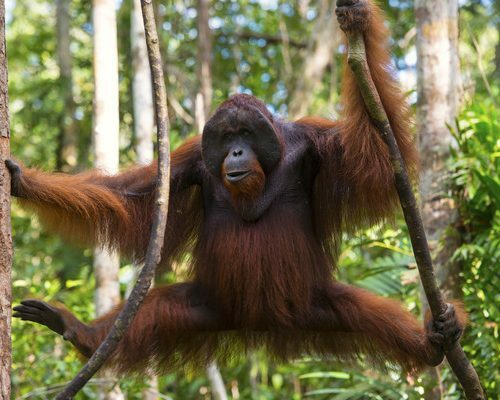 After breakfast you’ll return to Sandakan and head for Sepilok in time for the morning feeding at the Orang Utan Rehabilitation Centre. After seeing the young ones play in the nursery, walk to the Sun Bear Conservation Centre. After lunch transfer to the jetty for a ride down the Kinabatangan River to Sukau. Look for proboscis monkeys and crocodiles along the way. 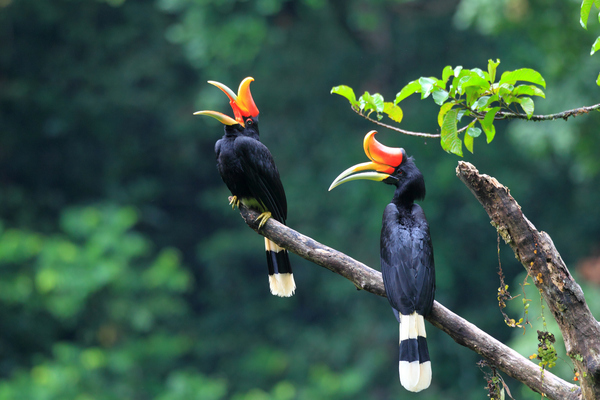 Join an early morning river cruise to look for wildlife, take a guided walk along the Hornbill Boardwalk, and in the afternoon attend a talk on orangutans or relax by the pool or river. 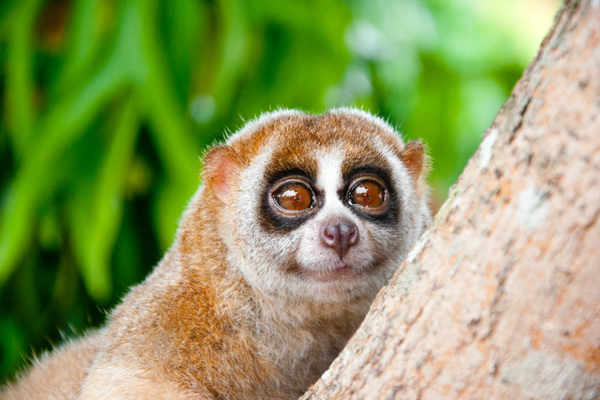 Take a late afternoon river cruise to spot monkeys, birds, crocodiles, and more. Transfer by van to Lahad Datu and on to Tabin Wildlife Reserve. In the afternoon, trek to Lipad mud volcano on a family-friendly path. Look for bubbles in the mud and watch the forest for bearded pigs and other wildlife. 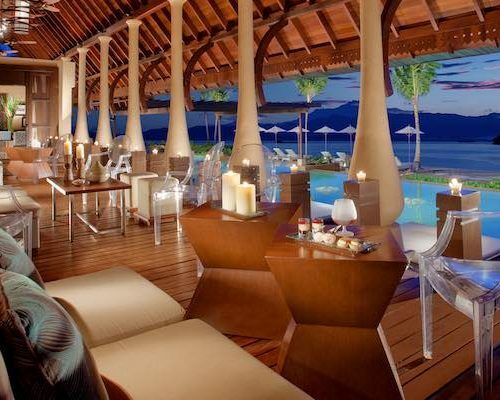 After dinner, you’ll have a night safari to look for birds, insects, and other nocturnal animals. Listen for gibbons this morning and if you hear them, take a quick walk to see them in the nearby trees. 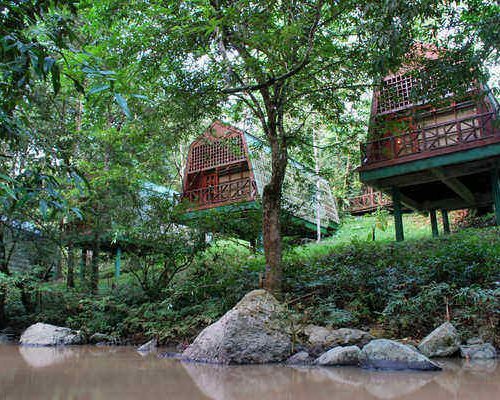 Today you’ll visit a bird watching tower, walk to a waterfall for a refreshing dip, and experience a rainforest foot soak, a Tabin specialty. 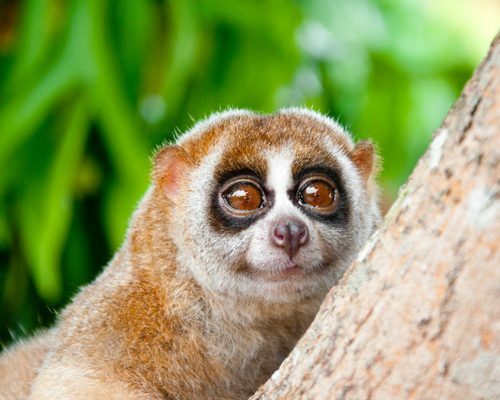 Enjoy a dusk drive to look for leopard cats, flying lemurs and squirrels, and other animals active in the twilight hours. After dinner, there’s a night walk for those still eager to spot more wildlife. Relax this morning before your transfer to Lahad Datu for an afternoon flight to Kota Kinabalu. Upon arrival at the airport you’ll be collected and transferred to the jetty for a short boat ride to Gaya Island and your seafront hotel. Round out your wildlife adventure with a guided walk through the rainforest, kayaking trip in the mangroves, or snorkelling trip. 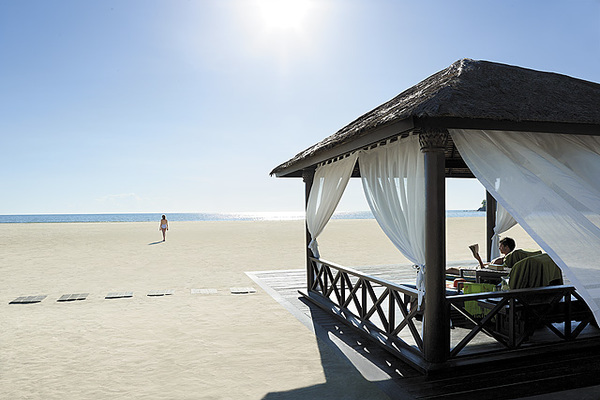 We haven’t booked anything for you so it’s your choice how best to enjoy these days in the South China Sea. 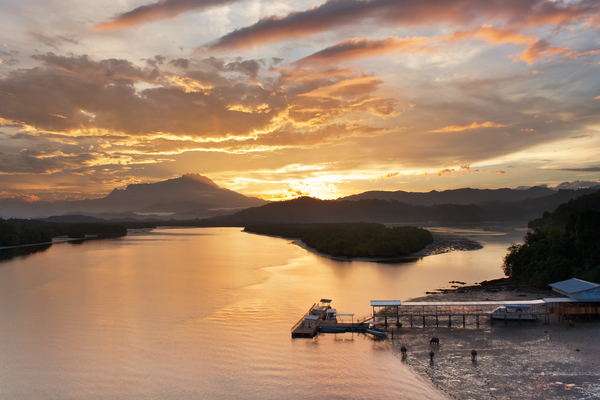 Transfer back to Kota Kinabalu today for your ride to the international airport and flight homeward. Safe travels! This itinerary costs from £1950 per person based on two adults sharing excluding peak seasons of July-August, Christmas and New Year, and Chinese New Year’s. The price includes all transfers and domestic travel but not international flights. All prices correct at the time of writing. Give us a call at 020 7112 0019 or email us at borneo@fleewinter.com to discuss your requirements and get a confirmed price.